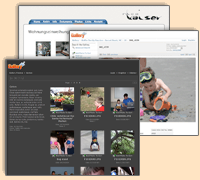 This is the official website of Gallery, the open source web based photo album organizer. Gallery gives you an intuitive way to blend photo management seamlessly into your own website whether you're running a small personal site or a large community site. 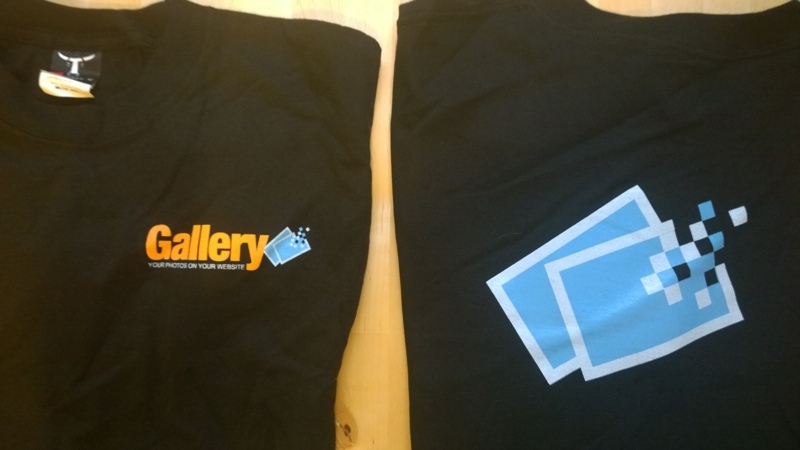 We have a handful of Gallery t-shirts for sale, so get yours now before they are all gone! If you are somewhere else, please send an e-mail with your shipping address and the size you would like to ckdake@ckdake.com and I'll send you invoice you can pay online. All proceeds go towards continuing to run the infrastructure supporting Gallery. Thanks for your support! The developer of iGallery, a Gallery 2 client for iOS devices, has developed a new Gallery 3 client from scratch - iGallery 3. They are running a public beta test to make sure everything is working as well as possible. If you're interested in joining the beta program contact them by e-mailing your device type (e.g. "iPhone 5") and your device UDID (you can find this at http://whatsmyudid.com/) to dennis.rochel@imount.de. Read on for more detailed information and screenshots. RedHat/Fedora/etc have access to Gallery 3 via EPEL already. Hoorah! Debian is missing Gallery 3 due to some licensing things that we need help sorting out. See the bug and the discussion for details. Gentoo seems stuck on Gallery 2: http://gentoo-portage.com/www-apps/gallery. If there is a way that you are not able to get Gallery where you would like to, or if you can help out with any of the above, please let us know here or hop on the gallery-devl e-mail list and let's make it happen! There's been discussion among team members about trying to clarify the Gallery Project's identity. To those ends, the Project's web sites, gallery.menalto.com and codex.gallery2.org, have moved to www.galleryproject.org and codex.galleryproject.org.